I’ve shared a bit about my process in the past, but I thought it might be interesting to go deeper by looking at one of my paintings from from start to finish. This will be a series of four posts. Are you ready? Let’s go! What is the Stone of Knowing? In my head: The Stone of Knowing is a powerful crystal created by a wizard several hundreds years ago. In real life: It’s a rare artifact from bronze age Afghanistan. I read about it on the National Geographic site last year. That’s how it begins 80% of the time. I see something, or read something, and an idea begins ricocheting around in my head. 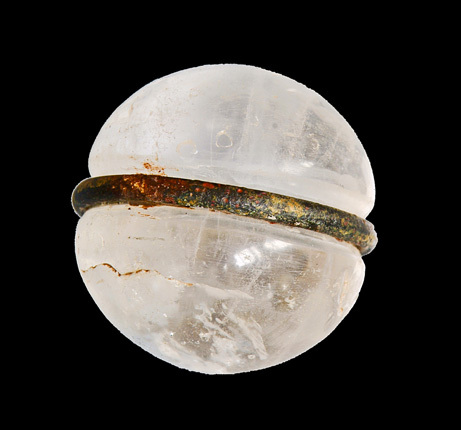 What purpose did this crystal ball hold? Who created it and why? An ancient relic, once lost, washes up on shore. Whomever holds it has the power to control anyone’s mind. A little scary, huh? 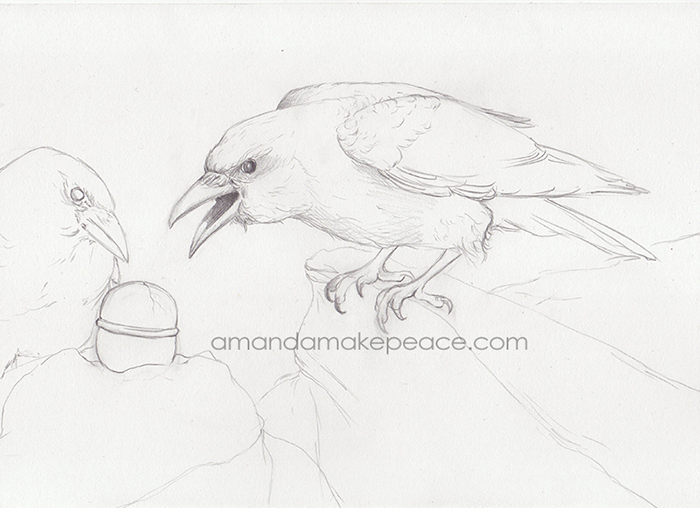 No wonder it went “missing.” There’s a story in there too, but my painting will focus on the discovery of the stone by two ravens. 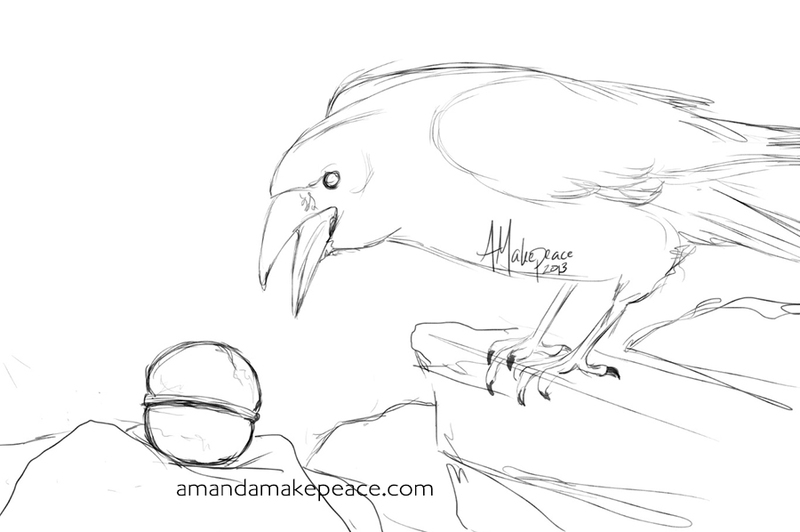 These will not be ordinary ravens. I hope their master is wise and decides to throw the stone back into the depths of the ocean. When I initially stumbled across the image/article I was already busy working on other paintings. If I don’t want to lose an idea it’s important I make a sketch. Below is the quick digital sketch I made back in November. Now that the holidays are over and I’m nearing the end of a large commission I’ve turned my attention back to this story. I’ve spent the last year absorbing different ways to paint digitally. If you follow my art, you’ve seen the progression. For Stone of Knowing I’ve decided to take a step backward. I’m going to incorporate both traditional and digital for this painting. 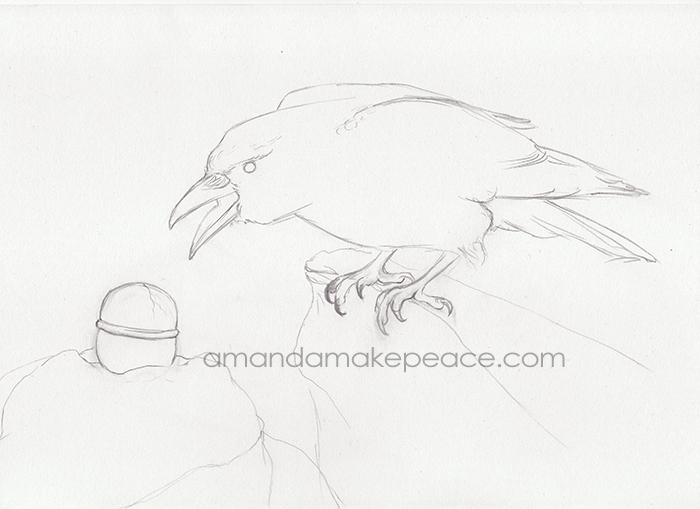 Step One is pencil on bristol paper. 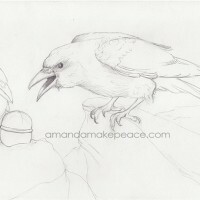 I’ve redrawn my initial digital sketch in pencil and also added a second raven. 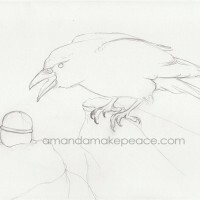 I wanted the first raven to stand out, but the focal point of the painting needs to be the stone. 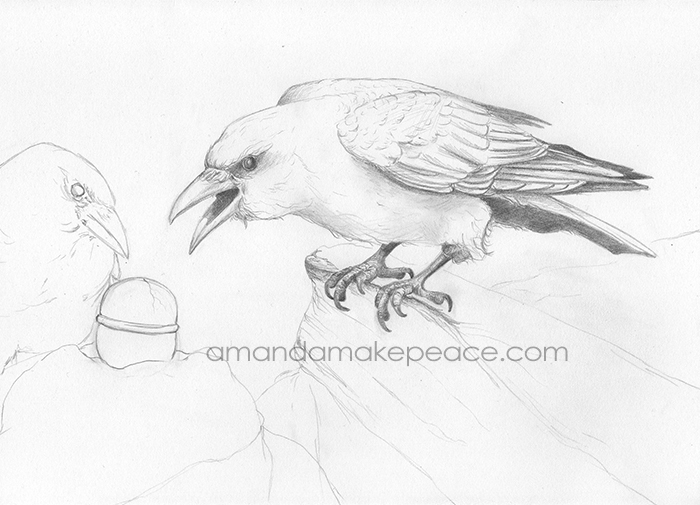 Once I finish the pencil stage I’ll scan the drawing and crop out part of the raven’s tail. 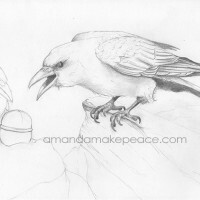 Next week I’ll share the completed drawing and the first steps I’ll be taking in Photoshop. Tagged art process, fantasy art, makepeaceart, Stone of Knowing, wip. Cool. I’ll be following along. Looks interesting. What an amazing object, I’d love to see it in person. Isn’t it Annie? I would love to see it too. Thanks for following!